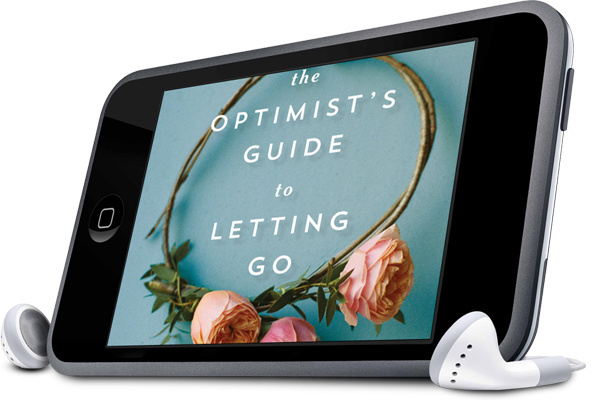 THE OPTIMIST’S GUIDE TO LETTING GO is poignant, tender, and simply wonderful. Amy Reichert has outdone herself. With characters that are as complicated as they are original and a voice that is warmhearted and wise, you will hug this book when you’re done. Three generations. Seven days. One big secret. The author of The Coincidence of Coconut Cake and The Simplicity of Cider unfolds a mother-daughter story told by three women whose time to reckon with a life-altering secret is running out. Gina Zoberski wants to make it through one day without her mother, Lorraine, cataloguing all her faults, and her teenage daughter, May, snubbing her. Too bad there’s no chance of that. Her relentlessly sunny disposition annoys both her mother and her daughter, no matter how hard she tries. Instead, she finds order and comfort in obsessive list-making and Grilled G’s, the gourmet grilled cheese food truck built by her late husband. But when Lorraine suffers a sudden stroke, Gina stumbles upon a family secret Lorraine’s kept hidden for forty years. In the face of her mother’s failing health and her daughter’s rebellion, this optimist might find that piecing together the truth is the push she needs to let go. . . .
Add to your Goodreads To-Read list. Visit the website for Books & Co in Oconomowoc, WI. When you checkout, at the bottom of the screen is an Order Comments field. Enter that you want a personalized copy and and the name. Lisa, the owner, will let me know when the order arrives! Will also be available as an audio book.